All things we want to master as marketers. But one of the least talked about skills that marketing leaders have to learn is how to hire and develop a high performing team. During your career (if you choose to manage people), you’ll hire people who work out and people who don’t. You’ll coach people who keep growing and others who hit plateaus. And over time, you’ll improve your ability to spot talent, even if someone is early in their career. 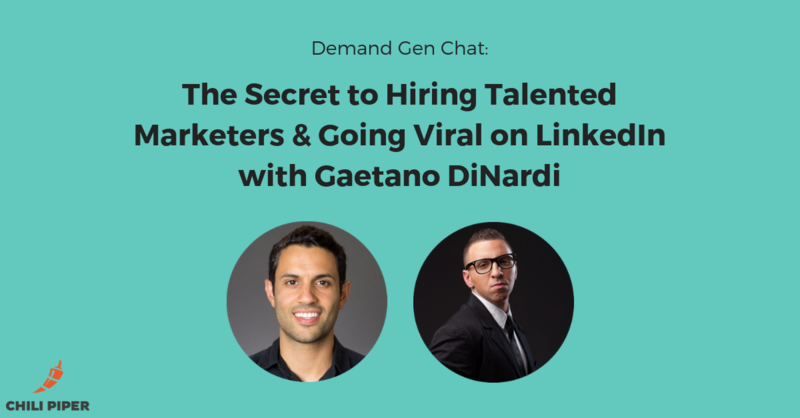 This is one of my favorite topics that Gaetano DiNardi and I dive into on this episode of Demand Gen Chat. Gaetano is the Director of Demand Generation at Nextiva. He was previously VP of Marketing at Sales Hacker, where he lead the marketing team up to an acquisition.